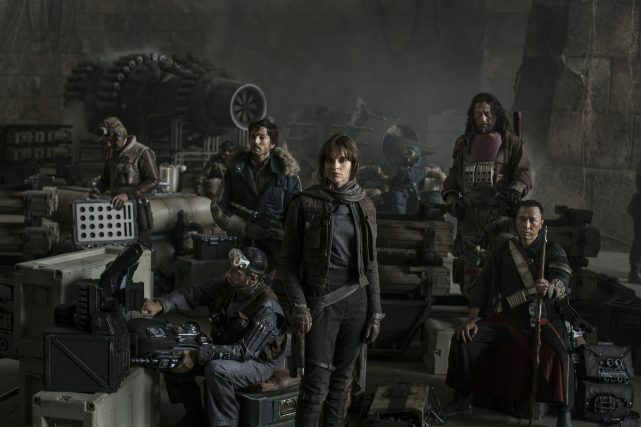 The second Rogue One: A Star Wars Story official trailer debuts during the Olympics. The dark tone remains with a tease of Darth Vader. Just the back of his helmet shows with the ominous exhale. The trailer contained plenty of wide shots of the universe. Marketing for the film is cohesive with the addition of the official trailer. Immediately after the broadcast television premiere, it was made available online for non-Olympic viewers to watch. From this video advertisement, the marketing team is selling the audience on the power and dark shroud of the empire. New footage is shown, but does not reveal any new information concerning the story. And there is an introduction to all the characters on the mission to steal the schematics for the empire’s new weapon of mass destruction. Rogue One: A Star Wars Story is directed by Gareth Edwards and stars Felicity Jones, Diego Luna, Forest Whitaker and Mads Mikkelsen with returning Star Wars alum James Earl Jones voicing Darth Vader. Edwards has said that this is a full-blown war film, which means members of the Rebel Alliance are sure to die. The Disney-Lucasfilm piece hits theaters December 16, 2016.